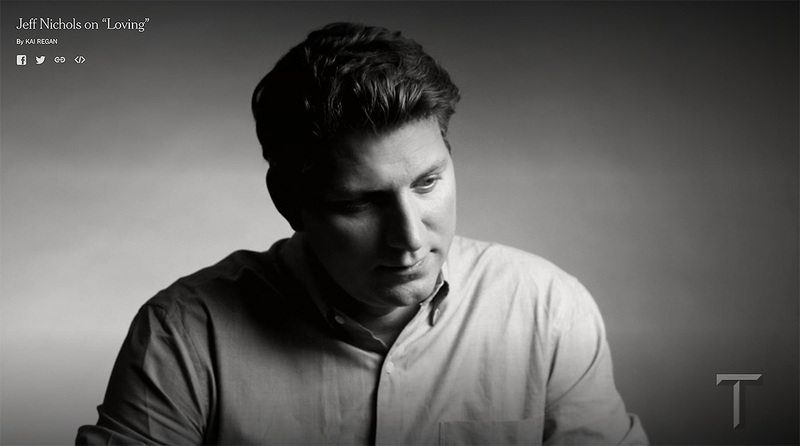 Loving writer/director Jeff Nichols is featured in a video series on the next wave of film auteurs produced by The New York Times for their weekly T Magazine. "There is one idea that is very important to me and it is the representation of a feeling I have. It was really one specific scene where Richard comes home drunk from the bar and sits at the end of the bed with his wife and repeats over and over again 'I can take care of you. I can take care of you'. The reason why that's important is because everyone in the audience, and Mildred I believe, knows that's not true." The entire interview can be viewed at The New York Times.